Have you searched for “towbar fitting Basingstoke” and spent ages trying to find the top provider in the area? You’ve struck gold by finding the Towbar Company. Our professional service is offered at a very competitive price that won’t break the bank. Book now or get an immediate quote by calling our dedicated team on 07778 343 464! Looking for a reliable towbar company in Basingstoke? Here at the Towbar Company, we offer a mobile service for fixed towbars as well as detachable ones. We also have a number of accessories available, depending on the nature of the situation in question. On modern vehicles, we use the latest dedicated wiring kits that communicate directly with the managing system of your car. These units will be fitted to strictly adhere to manufacturer specifications. Whatever it is that you intend to tow, we will be able to fit your towbar at a great price. Towbar fitting in Basingstoke is our specialty and we always go the extra mile for our customers. You have nothing to lose and everything to gain from reaching out for an informal chat! All of the work that our towbar company in Basingstoke carries out is fully insured and compliant with manufacturer recommendations. You won’t have to worry about the towbar service affecting your car’s warranty. Look no further than the Towbar Company to provide a professional service at an unbeatable price, with fantastic response times. You can rest assured knowing that our towbar company in Basingstoke will get you on the road in no time. With more than 25 years of combined experience between the members of our towbar fitting in Basingstoke team, we are more than qualified to offer a professional service. Your vehicle is in safe hands when you choose the Towbar Company. We always aim to build a long term working relationship with every client. 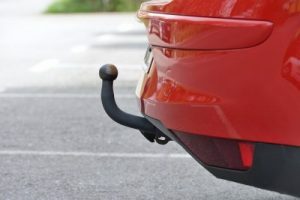 We have been successful in this regard as the majority of new work that comes our way for towbar fitting in Basingstoke is through referrals. This is due to our attention to detail, efficiency and accessibility while working. Would you be interested in reading some of the feedback that we have received from our customers over the years? We have compiled the comments on our dedicated page of testimonials. These reviews should give you all of the reassurance that you needed for enlisting our expertise. Are you now convinced beyond a shadow of a doubt that the Towbar Company is the team to call for a dynamic service unlike any other? We are always here to help and answer questions, so we look forward to hearing from you very soon. Please don’t hesitate to reach out to us using one of the contact methods outlined below. There are several fast efficient ways to contact us and book a towbar fitting Basingstoke residents wouldn’t hesitate to recommend. Call us any time on 07778 343 464. If you would prefer to send your details over to us in writing, then fill in the online enquiry form found on our website. We will get back to you very shortly using your preferred method of contact.